With a propeller and six cylinders to the end of the world. Those who think about missions and Africa often have adventurous thoughts that do not include those who live in the large cities and metropolises. There are however still native people living in outlying rural untouched areas as well. To get to them, it is necessary to travel by off-road vehicles and often with a small airplane. 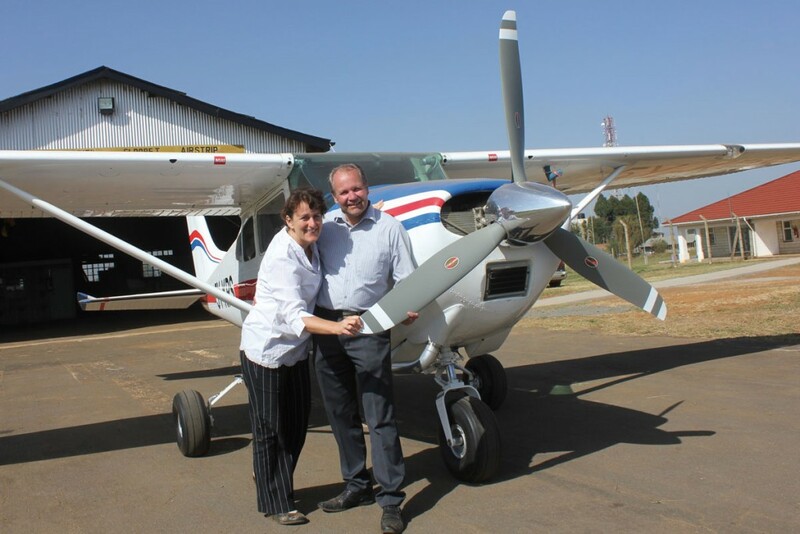 Peter Franz along with his team is often flying to them with a Cessna that is more than 40 years old. In order to get to these people with the Word of God, no distance is too far, no journey too dangerous for the Gospel Fire International laborers. It is of utmost importance that people in crisis regions, war zones, and those who are completely unreached come into a relationship with the living God. It is this same God who sends His people with great purpose “to the end of the world”.